The Mississippi Society of Georgia is an all-volunteer, non-profit entity composed of alumni and friends of Mississippi's higher institutions of learning. We are all Georgia residents with some tie to the state of Mississippi, be it by birth, alma mater, family, or just a feeling of goodwill toward the state. We began with our first committee meetings in 2009 and incorporated as a 501(c)(3) entity in 2010. Our mission is to promote the cultural, academic, business, and economic development opportunities and interoperability between Georgia and Mississippi. One of our purposes is to support an annual Mississippi in the Park and provide an opportunity for fellow Mississippians to reunite and network personally and professionally. We have added to that a successful golf tournament and group attendance of a Braves game to form a "Mississippi Weekend." In an effort to keep up with the connections made at these events, we host several socials throughout the year. One of our goals is to enable well-deserving high school graduates from Georgia interested in higher education to connect with representatives from one of our Mississippi colleges and universities. We are happy to now award annually, a $1,000 scholarship to a freshman from Georgia entering a Mississippi four year college. Proceeds from the golf tournament are returned directly to the schools in Mississippi for scholarships. We are pleased to announce that our picnic and golf tournament combined to provide $12,000 in scholarship money for 2014. 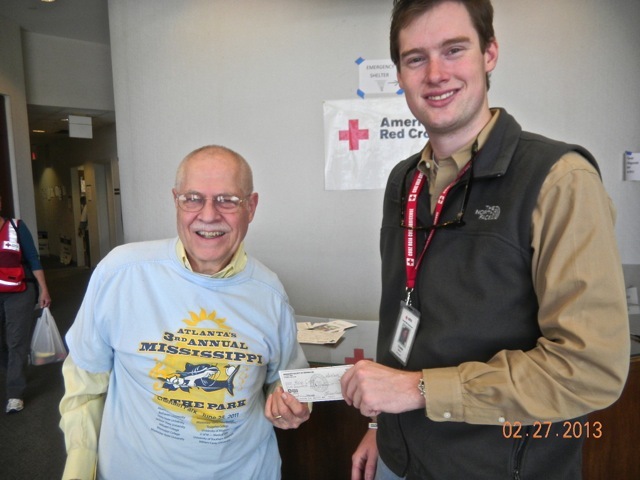 Our other events through the years have raised money and canned goods for Atlanta Community Food Bank as well as assistance for tornado victims in Mississippi.